Cape Town - Finance Minister Malusi Gigaba did not grasp the opportunity to provide inspired fiscal direction when he delivered his first Medium-term Budget Policy Statement (MTBPS) on Wednesday, said Kemp Munnik, head of structured solutions at banking and consultancy firm Bravura. 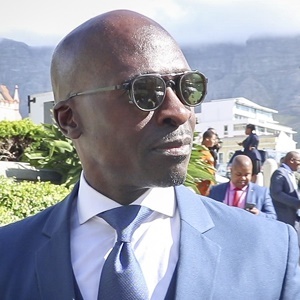 "Gigaba's first budgetary statement was keenly watched by local and international investors given the current high levels of uncertainty on an economic and political level in South Africa," said Munnik. The MTBPS is significant because it provides insight into planned government expenditure and indicates expected tax increases that South African taxpayers have to face. It also informs decisions of the credit rating agencies about South Africa's fiscal stability. "Wednesday's statement provided a bleak picture of the economy, but provided very little in the form of clear proposals on the way forward." Gigaba announced that expenditure will grow by an annual average of 7.3%, from R1.6trn in 2017/18 to R1.9trn in 2020/21. The fastest growing category of expenditure is debt service costs, which reach nearly 15% of revenue in 2020/21 and increasingly crowd out spending on services. He further mentioned that public sector remuneration budgets pose a large and imminent risk to the expenditure budget, with the possibility that some national and provincial departments will exceed the compensation ceiling. "Gigaba has delved into the contingency reserve to the extent of R16bn over the next three years in an attempt to make the books balance. This leaves government little room to maneuver if risks to the expenditure ceiling materialise," Munnik said. If government expenditure exceeds revenue, the difference must be borrowed, which adds to the level of government debt. Gigaba said that the debt to GDP ratio will be more than 60% of GDP by 2022. "This implies that the government's burden on the economy (total government debt as percentage of GDP) will increase. Certain economists have commented that South Africa has entered an unsustainable debt spiral," Munnik said. "The danger is that any slowdown in fiscal consolidation as a result of increased social spending would further weigh on business confidence, deterring investment and weakening longer term growth." Will the mini budget lead to another downgrade? The major credit rating agencies ­Standard & Poor's, Moody's and Fitch ­were all keenly watching Gigaba's mini budget. When Gigaba was appointed in March, S&P and Fitch both cut the country to junk status, citing the potential for a change in fiscal course. Similarly, when Moody's downgraded South Africa's sovereign ratings to the cusp of junk in June, it warned that the country could lose its investment-grade rating if its economic and fiscal strength continued to falter. 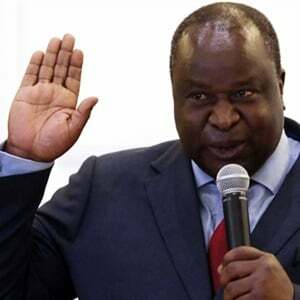 "These rating agencies will be analysing the mini budget to see whether the promises of the February 2017 budget speech of fiscal consolidation to reduce the budget deficit and contain the growth of public debt were met. They will in all likelihood focus mostly on issues surrounding state-owned entities." The budget is perhaps a red flag for SA's credit rating, Munnik said. "In September, Moody's expressed concern, noting that South Africa's interest payments ratio exceeds the median of its peer ratings group. "According to Moody's, more than a third of all sovereign defaults occur when countries allow fiscal imbalances to persist, resulting in unsustainably high debt burdens. When they are no longer able to service or reduce their debt, downgrades invariably follow."